A feasibility study has been carried out demonstrating the potential of the concept. A geometrical analysis of the cinematic and initial study of the different mechanisms to be used has been carried out. Initial market acceptability has been tested through specific interviews demonstrating very positive feed-back. A PCT patent has been registered. We are looking for investment company willing to push forward the product development, passing from concept to implementation and industrialization. A swiss network of actors recognized at international level, from naval architect to boat builder, has been identified and can provide all competencies needed to carry the next development phases. 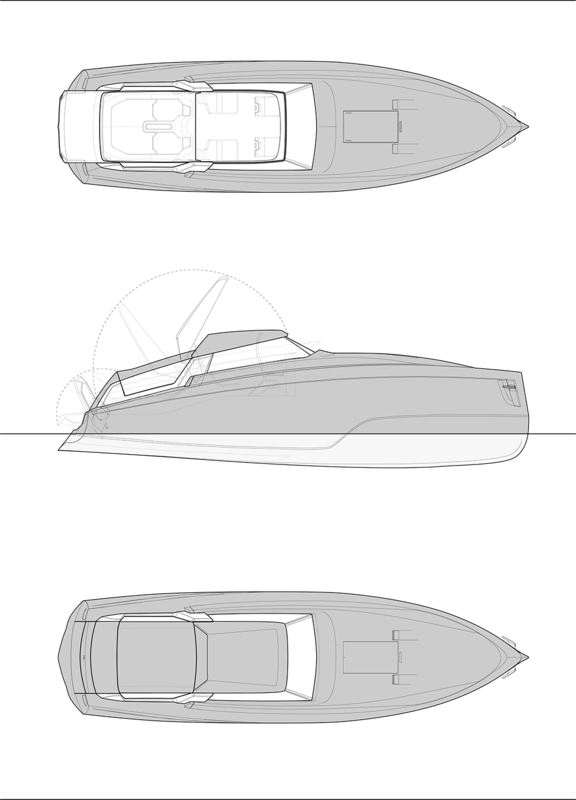 Shall you be interested to purchase such a boat, please contact us, we would happily provide you with more information and keep you updated on the development.